President Trump has been talking about how he is "like, really smart" recently. But this is far from the first time that he has weighed in on his own mental prowess. The recent remarks, made both in person during a trip to Camp David and on social media, stem from issues raised in "Fire and Fury: Inside the Trump White House," the controversial Michael Wolff book about his administration. In it, several members on the president's team are quoted questioning his mental fitness to hold office. Trump defended himself on Twitter on Saturday. "My two greatest assets have been mental stability and being, like, really smart," he tweeted. In a subsequent tweet, he said how the fact that he won his presidential bid on his first try "would qualify as not smart, but genius....and a very stable genius at that!" Later that day, during a brief news conference at Camp David, Trump answered a question of why he felt the need to tweet about his mental state by first talking about his intellectual background. 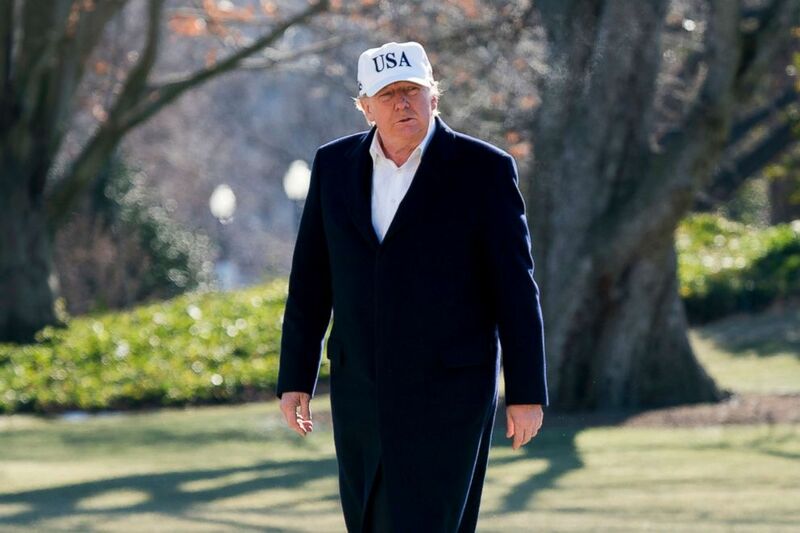 (Andrew Harnik/AP) President Donald Trump walks across the South Lawn as he arrives at the White House in Washington, Jan. 7, 2018, after traveling from Camp David, Md. "Well, only because I went to the best colleges for college. I went to a -- I had a situation where I was a very excellent student. Came out and made billions and billions of dollars. Became one of the top businesspeople. Went to television and, for ten years, was a tremendous success, as you probably have heard. Ran for President one time and won," Trump said in his own defense. Here are a half dozen other times that he has touted his intellect in the past. Back after Trump flirted with a presidential run in 2012, he defended his instincts and intellect while talking to then-CNN host Piers Morgan about people dismissing birthers as fringe elements of conservative politics. The question came in reference to comments Karl Rove made about how then-primary candidate Rick Perry should avoid the "nutty, fringe elements" of the party who questioned then-President Obama's birthplace. Trump was an outspoken voice among the birther movement for years before saying he no longer questioned it during the 2016 race. In the lead up to his response, Trump started by defending his intelligence. "I always told people, you know I'm a very smart guy. I got good marks. I was all this, I went to the best college: the Wharton School of finance, which to me is like the greatest business school," Trump told Morgan. During an interview on MSNBC's "Morning Joe," Trump was asked who he was talking to on foreign affairs issues. He said he relies on himself and his "very good brain." "I’m speaking with myself, number one, because I have a very good brain and I’ve said a lot of things... I know what I’m doing and I listen to a lot of people, I talk to a lot of people and at the appropriate time I’ll tell you who the people are. But I speak to a lot of people. My primary consultant is myself, and I have, you know, I have a good instinct for this stuff," Trump said. After winning the Republican primaries in Pennsylvania, Maryland, Connecticut, Delaware and Rhode Island, Trump took some questions at an event in Trump Tower. "I'm not changing. I went to the best schools, I'm, like, a very smart person. I'm going to represent our country with dignity and very well. I don't want to change my personality -- it got me here," Trump said. (Mark Ralston/Reuters) Republican U.S. presidential nominee Donald Trump speaks as Democratic U.S. presidential nominee Hillary Clinton listens during their third and final 2016 presidential campaign debate in Las Vegas, Oct. 19, 2016. One of the biggest sticking points throughout the presidential campaign was Trump's reluctance to ever release his tax records, or release any information about how much he paid in taxes through the years. 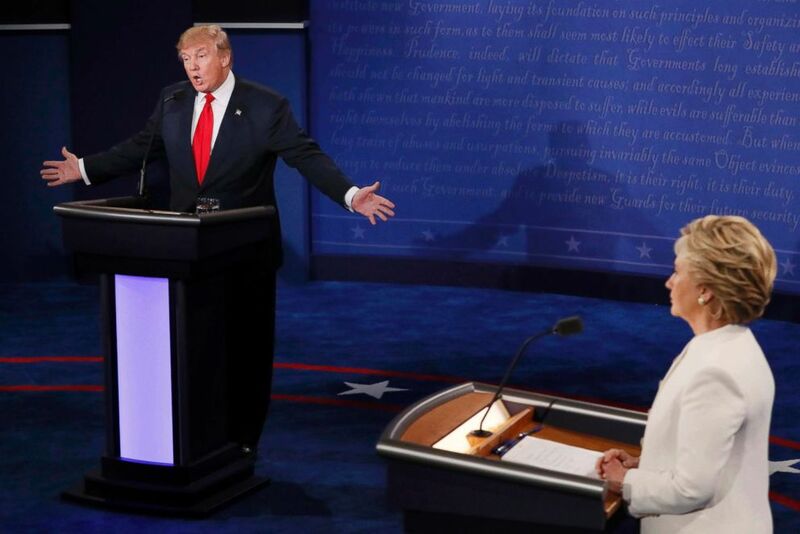 The topic came up again during his first presidential debate with Hillary Clinton, and at one point she suggested the reason why he didn't release his tax returns was because he didn't want to show that "he's paid nothing in federal taxes." "That makes me smart," he said in return. After winning the election, Trump cited his intellect as a reason why he was choosing not to have daily intelligence briefings, as had been custom for president-elects. "I’m, like, a smart person. I don’t have to be told the same thing in the same words every single day," he told Fox News at the time. (Mandel Ngan/AFP/Getty Images) President Donald Trump speaks at CIA Headquarters in Langley, Virginia, on Jan. 21, 2017. 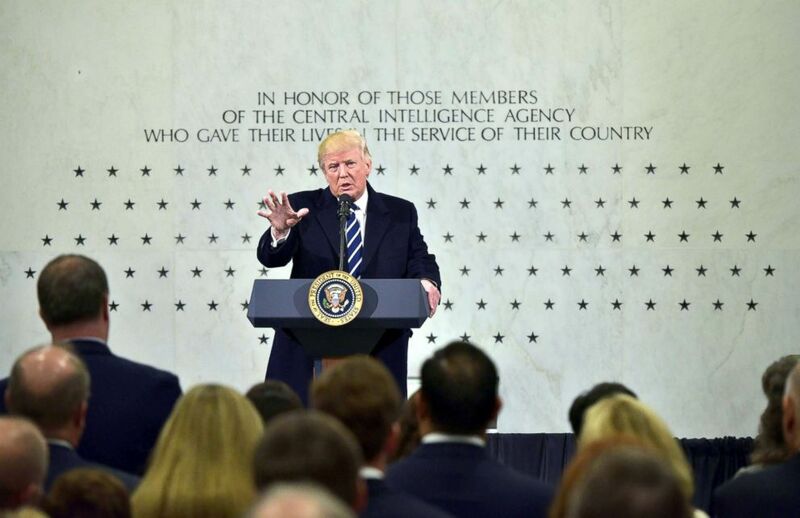 Trump made his first visit to CIA headquarters as president a week after being sworn in, and during a speech that he made to a gathered crowd in front of the Memorial Wall, which commemorates those who died in the line of service, Trump touched on a range of topics. Those topics included his intellect, and his family history of intelligence. "Now, I know a lot about West Point. I’m a person that very strongly believes in academics. In fact, every time I say I had an uncle who was a great professor at MIT for 35 years who did a fantastic job in so many different ways, academically -- was an academic genius -- and then they say, 'Is Donald Trump an intellectual?' Trust me, I’m, like, a smart person," Trump said.